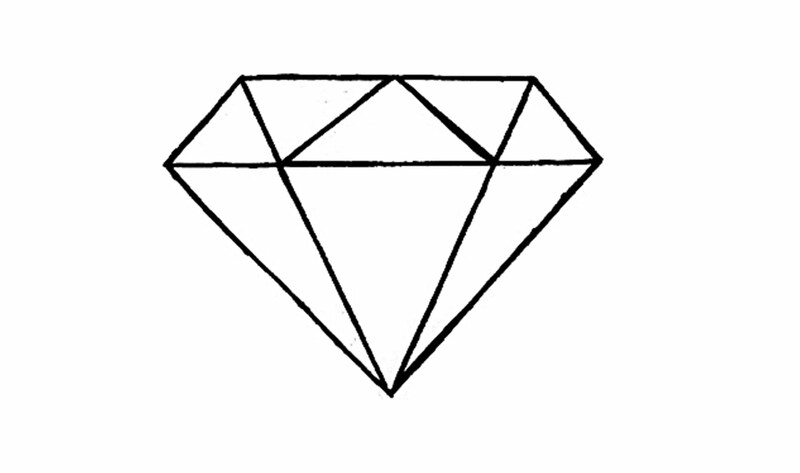 How to Draw a Diamond?You can draw diamond by this tutorial for kids and beginners. We provide proper drawing steps which are easy to follow. Diamond is one of the most precious gem and the structure of diamond is quote complicated to draw. We all love the shape of diamond and tries to draw it on paper but unfortunately gets confused while drawing therefore, we are here going to provide you the guide of drawing a diamond very easily. 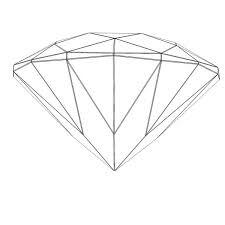 The shape of diamond looks very complicated to draw but in actual it is not that much complicated, we can draw a beautiful diamond very easily. If you are also looking forward to draw a diamond then follow these instructions. First, you need to draw a triangle. After that on this triangle you need to draw a trapezium like structure. After it you can go forward on going with the internal linings as shown within the image and after this your diamond is complete. 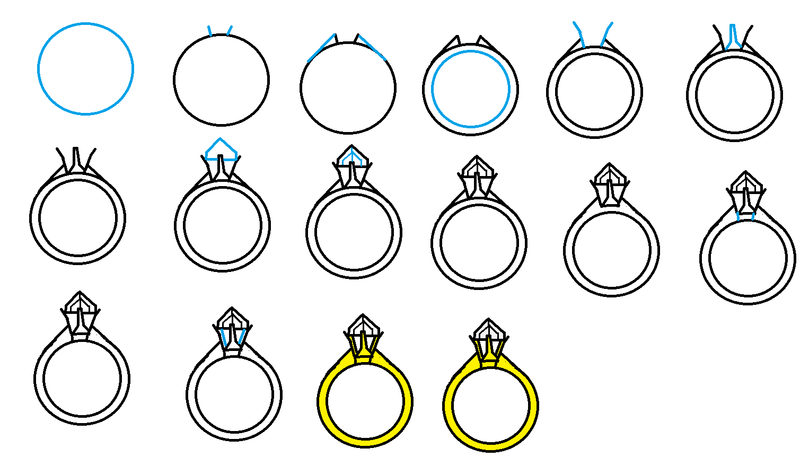 If you want to draw a ring which contain diamond then you need to follow the below steps. Step 1: First of all, draw a normal circle after that draw two small right angle triangle over it. Step 2: After this draw another circle inside the previous one and then draw another small trapezium shape from those triangles. Step 3: Next, you have to draw a triangular shape following the base of triangle as the base of trapezium. Now, your diamond ring is ready as shown below in the image. You can also colour it as per your requirement. At first you need to draw a straight horizontal line it will act as the top of the diamond. Now create another parallel horizontal line from the first one. After it you need to connect both of these lines with two different slant lines. Diamond is a sparkling material therefore to indicate the cuts of diamond draw different lines at the top of the diamond. 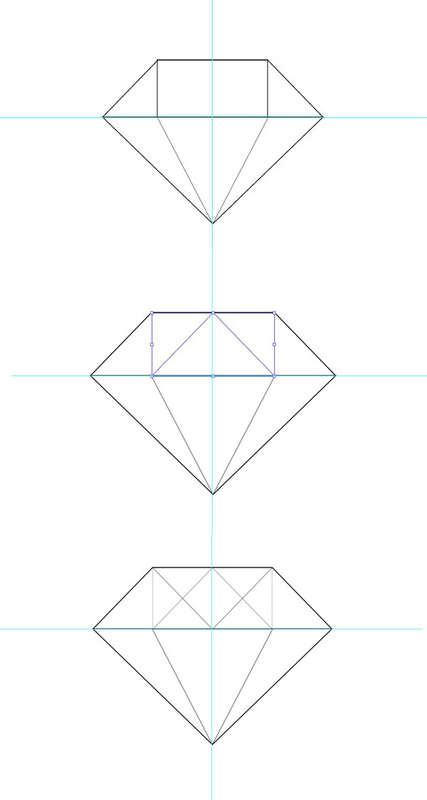 The horizontal lines previously drawn, start drawing straight lines extending from the lowest part of the diamond which will be going to divide the diamond into three different triangles. Now you need to add more diagrammatic representation at the top of the diamond for making it more beautiful. Similarly add more lines and representation to the lower portion of the diamond. If you are wishing to draw the pattern of diamond then there is not very much difficulty, for it you just have to follow the same instructions as given in the above method of drawing a diamond. You can simply create additional effects to your creation by adding few more lines, cuts and colors. A 3D structure is something which gives the same exact structural image of any thing. You can also draw the 3D structure of the diamond. What you all have to do is just follow the above steps as provided and you are all done just add few additional linings to your diamond. To draw a 3D structure you need to keep remember that instead of a trapezium top you have to draw an oval top of the diamond and the everything is similar as instructed above.